Click the tabbed links below, across the page, to access the various specifications. New computer* with Linux OS and EMC2 4-axis CNC software pre-installed on hard drive—eliminates installation headaches and compatibility problems (Customer must supply only a monitor). Backup CD’s with Linux, EMC and complete instructions in MSWord.doc, .html and .pdf formats. Includes several free utilities to translate CAD files or TrueType fonts into G-code. *NOTE: Systems without computers and CNC upgrades for those who already have a mill or lathe are also available. NOTE: The Sherline CNC lathe system is not designed to accommodate CNC threading operations. CNC Upgrades Now in Production! Many Linux users have been switching from the Debian version to the updated Ubuntu version for good reason. In addition to being more developer-friendly, it offers seamless integration with a larger number of hardware components. It is directed more toward the new user who is familiar with a Windows® or Macintosh® type interface. No more “mounting” and “unmounting” drives, double click to open files, and so on. Ubuntu is also well suited for the upgrade from EMC to EMC2 which is explained in more detail below. Ubuntu includes a number of very useful free programs are included such as OpenOffice (word processing), a presentation program like Microsoft PowerPoint® and a spreadsheet program like Excel®. There are also utilities like a calculator, dictionary, text editor, print manager, disk use analyzer, note program, search tool, CD/DVD burner, photo manager, image editor, drawing program, email, and calendar program, music player, movie player and sound recorder. For those who like games, 17 are included, and it’s all free. The Sherline computer is also configured for connection to the internet using the Firefox browser included in Ubuntu. The desktop of the Ubuntu version of Linux is laid out a little differently than the Debian version but is even easier to navigate. Drop-down menus from the top menu bar give instant access to all the important programs and features offered in Linux. The details you need are noted in the revised Version 5.0 instruction manual. It can be found on the Sherline website at CNCinst5.pdf. The EMC2 interface is virtually identical to what you have seen before in our previous Debian version of EMC, so there is practically nothing new to learn if you have used it before. Sherline’s included instructions cover the use of G-code in milling operations. Technical support for the new lathe program available in EMC2 can be found in the EMC2 User’s Manual prepared by the Linux group (loaded on the Sherline computer). 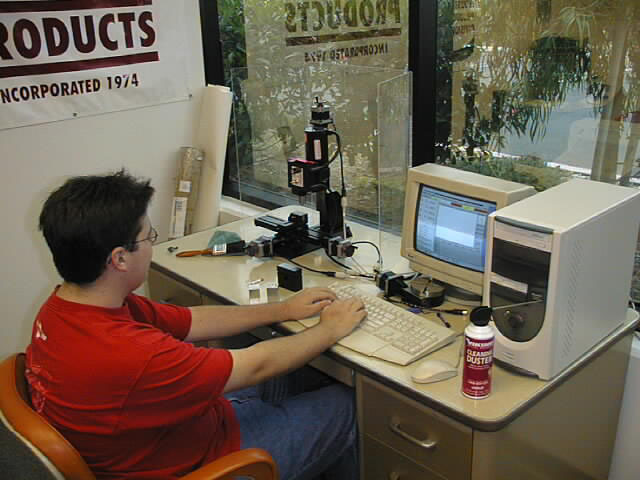 Because of software support considerations, the complete CNC systems with a computer are available only by direct order from Sherline. Please call (800) 541-0735 during business hours, fax your order to (760) 727-7857 or contact us by email at sherline@sherline.com. The EMC2 program allows G-code to be used to accommodate either inch or metric dimensions regardless of the leadscrew pitch. Though most CNC systems we sell come with inch leadscrews, we do offer a metric version for those who prefer to have metric leadscrews and metric increments on the handwheels when operating the machine manually. When under computer control, either machine can use either measurement system by including the proper g20 or g21 command in the program to convert between systems. 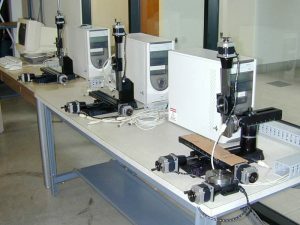 NOTE: Complete shop packages including a CNC mill, CNC lathe, 4th axis rotary table, computer, software and a selection of the most popular tools and machining accessories are also available. See the CNC price list for all your options. CNC is short for “Computer Numeric Control” which is how a computer talks to a milling machine or lathe to control its movements to cut the part you design. The language it uses is called “G-code”, which is a series of instructions that, combined with X, Y and Z coordinates denote direction, speeds and key points of the shape to be cut. In the past, for example, even the most skilled machinist would have a problem cutting a circle because both the X and Y handwheels would have to be cranked at the same time at constantly varying rates at the same time. The computer, however, has no trouble doing this, and a complicated shape can be cut just as easily as a straight line. The advantage of CNC beyond cutting difficult 3D shapes is that once the program is written and the holding fixtures made, multiple identical parts can be made rapidly. Sherline puts it all together in one package including the computer and software at an amazingly low price! Sherline CNC lathes are ready for shipment. Below you will find complete specifications on the machine and computer portions of the system. In order to control software installation ourselves and offer the customer the quickest way to plug in and get right to work using CNC without any computer hassles, we have included a new computer as part of the system. The driver board is installed right inside the computer box and the Linux OS and EMC2 4-axis CNC program are preinstalled on the hard drive. The four drivers are pre-wired and the two stepper motors have matching plugs for X and Z axes. Adding a CNC-ready vertical milling column and stepper motor can turn the lathe into a small mill and allow the use of the 3rd (Y) axis. 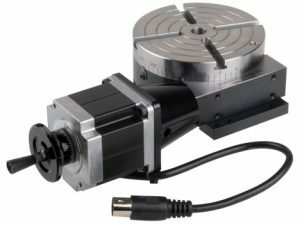 A 4th “A” axis can be added by purchasing a CNC rotary table with a 4th stepper motor (P/N 8730) and plugging it in. Limit switches were considered but eliminated in the end because it was felt that they simply weren’t necessary on a machine with stepper motors of limited power; particularly since we have provided a “hard stop” on the crosslide axis to prevent damage due to accidentally entering an instruction that would run a slide past the end of its travel. In order to keep your cost as low as possible and to provide the best possible technical support, this system is only available through direct purchase from the Sherline factory at this time. We are often asked why we selected Linux as the operating system and the Enhance Machine Controller (EMC) for the G-code interpretation. One obvious advantage of using an open-source software is that there is no charge, which is how we keep our package price so low. The U.S. government working through the National Institute of Standards and Technology (NIST) actually developed the EMC to help them create sophisticated military hardware, so in a way, if you’ve paid your taxes, you’ve already paid for part of it. Though not originally intended for home use, a dedicated group of users has modified and tweaked the original 6-axis program to simplify it and make it appropriate for use on a 4-axis system that can be operated by a home user in a small shop. (You can learn more about EMC at http://www.linuxcnc.org.) Since it uses industry standard G- and M-codes, writing programs for it is done much the same as any other large shop machine. That means that what you learn can be applied to other machines in the future. The newest version of EMC, called EMC2, now includes a lathe program as well as a mill program. The graphic interface is unchanged, so it is just as easy to use. Beginners often ask, “Can I scan a sketch of a part and the machine will make it for me?” Unfortunately, the answer is “No.” There is a lot more to CNC machining than that, regardless of which brand of system you decide to use. Considerations such as tools to be used, spindle speeds, how the part will be held, where the “home” position will be located and the order in which the cuts will be made are decisions that must be made by the operator before a part can be made. An axis driven by a stepper motor must receive instructions in a language it understands, so if you use a CAD program, the vector information of the CAD drawing format must be translated into a text format that the machine understands. This language tells the stepper motor how fast to turn, in which direction and how many “steps” to take for each move. The language your Sherline machine understands is called “G-code,” and you can get your ideas from design to G-code in one of three ways: 1) You can use trig to calculate key points and write the code yourself, 2)You can use the ability of drawing programs like AutoCad® to locate key points on your CAD drawings making it easier for you write the g-code yourself, or 3) You can use a “translator” program to translate your .dxf, or .stl format CAD drawings directly into g-code. Full-featured CAD/CAM programs are also capable of outputting G-code from the CAM portion of the program after you create the drawing in the CAD portion. If you are working with a Windows CAD program, it can be run on a Windows machine, the translated G-code saved as a text file on a CD, DVD or flash drive and transferred to the Linux computer. The G-code is then opened in your EMC or EMC2 program and run. The Linux desktop looks and works almost the same as the Windows® desktop you are probably familiar with, so learning to operate within Linux should not be a major obstacle. You do not need to “learn Linux” any more than you need to “learn Windows” in order to use it to run a program. We stress that potential customers need to be realistic about the difficulty of making good parts using a CNC machine. It can be quite challenging even for someone who already knows a lot about machining. If you are new to both machining and to CNC you have two big learning curves ahead of you. We have done all we can to make it easy to get started by designing a plug-and-play component system, but like learning a foreign language, there are no shortcuts to getting your faithful robot to make parts for you. You will have to do some learning and some logical thinking. It will do EXACTLY what you tell it to, right or wrong. If it receives a bad instruction it may do nothing at all, and it will be up to you to analyze the code to figure out what you did wrong. Fortunately, there is a “back plot” program included in the EMC that allows you to pre-run the part and visually see the tool path on your monitor screen to make sure there are no errors before cutting the actual part. The size and power of the machine limit how much damage can be done during the learning process. We also provide written instructions that make learning G-code both interesting and fun. If you follow them to the letter, you will be able to conquer CNC machining. If you are already familiar with CNC you will find this a very straightforward system to operate. If you are new to CNC, you will find this a great system to help you learn. It is not possible to cut threads on a CNC Sherline lathe. 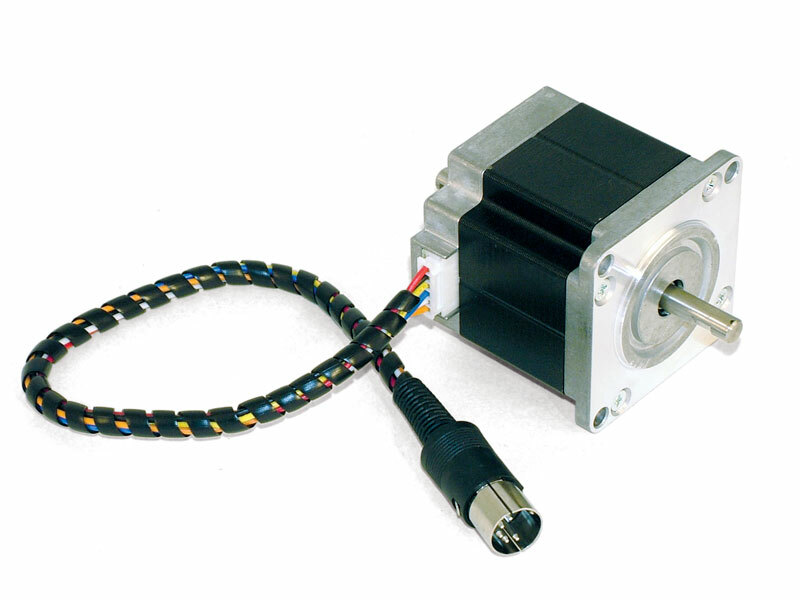 To do so would require an encoder on the DC spindle motor and spindle speed control in the software. This would put the price into a much higher category, and since threading is not an operation that is often required of a machine like this, we felt our customers would get the most “bang for the buck” by keeping the system simple and economically priced. Threading can still be done manually using the P/N 3100 thread cutting attachment. We stress that potential customers be realistic about the difficulty of making good parts using a CNC machine. It can be quite challenging even for someone who already knows a lot about machining. If you are new to both machining and to CNC you have two big learning curves ahead of you. We have done all we can to make it easy to get started by designing a plug-and-play component system, but like learning a foreign language, there are no shortcuts to getting your faithful robot to make parts for you. You will have to do some learning and some logical thinking. It will do EXACTLY what you tell it to, right or wrong. If it receives a bad instruction it may do nothing at all, and it will be up to you to analyze the code to figure out what you did wrong. Fortunately, there is a “back plot” program included in the EMC that allows you to pre-run the part and visually see the tool path on your monitor screen to make sure there are no errors before cutting the actual part. The size and power of the machine limit how much damage can be done during the learning process. We also provide written instructions that make learning g-code both interesting and fun. If you follow them to the letter, you will be able to conquer CNC machining. If you are already familiar with CNC you will find this a very straightforward system to operate. If you are new to CNC, you will find this a great system to help you learn. Loaded on your Linux computer and also on the backup CD are a number of free utilities to make your job of getting from idea to finished part a little easier. For those who already work with Windows® CAD programs, there are several free Windows utilities that will translate .dxf and .stl format CAD drawings into the text language of g-code that EMC understands. These text files are simply saved to a CD, DVD or USB flash drive and transferred to your Linux computer, opened in EMC and run. There is even a free Windows program that will translate the outline of any TrueType font into G-code to make it possible to engrave lettering. There are also a couple of useful programs that can be opened right in Linux if you want to do all your work on one computer. The P/N 8730 rotary table with stepper motor installed and ready to plug in as the 4th or “A” axis. The Sherline P/N 3700-CNC combined with a P/N 67127 stepper motor now has a combined part number of 8730 so you can easily order a 4th axis for your CNC lathe when using an optional vertical milling column. The pre-wired plug on the stepper motor plugs right into the “A” axis cord coming from the computer, and the EMC software has 4-axis capability as well. Should you need to rotate a part to cut gear teeth, splines, radial hole patterns, etc., the rotary table will make such jobs possible. Also available among accessories are a fixture to hold the rotary table in a vertical position (P/N 3701), a more advanced fixture that can hold the table at any angle from 0° to 90° (P/N 3750) and an adjustable tailstock that allows parts held vertically in either fixture to be held between centers (P/N 3702). If you do intend to set up the lathe for occasional milling operations by adding a P/N 3050-CNC vertical milling column and want to use large accessories like the rotary table or P/N 3750 tilting angle table, the 6″ table that comes with the lathe is a little short for this purpose. However, you can purchase a 13″ crosslide table and leadscrew as P/N 4088X-CNC (4088M-CNC metric) that will give you more space and travel. Note that the long table is also 1/4″ thicker than the 6″ table, so it cannot be left in place when converting back to lathe operation. Changing tables is an easy operation, though, so it is still a viable option. 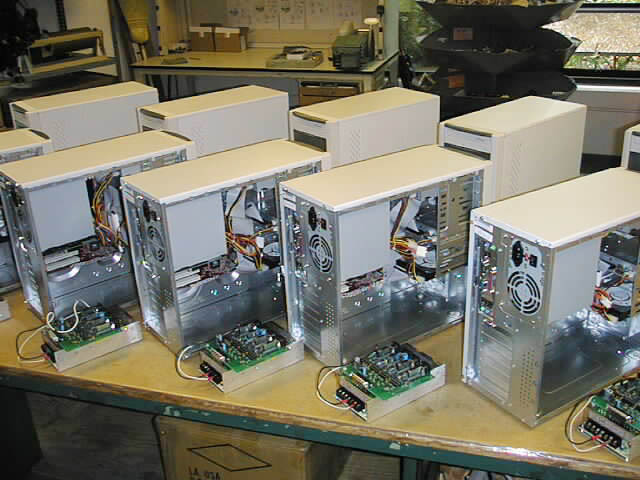 (Below Left) A batch of computers is seen on the production line ready for the installation of the power supply/driver board unit. (Below Middle) The power supply/driver board unit is installed in the computer along with the motor cables. (Below Right) A test program is run on the evaluation system in our showroom. Sherline now assembles it’s own computers in-house in order to control the quality of every component and aid in problem analysis and technical support down the line. (Left) Each system is tested individually before shipping. Computers and machines are hooked up on this test bench and run using a 3D test program. They are checked several times at various points during the program to make sure they are running properly and maintaining accuracy. Other features: Separate on/off switch for drivers so the computer can remain powered up without power to stepper motors. Driver board includes circuitry to protect driver chips and motors from electrical surges and anomalies. Turn off and back on to reset. Also included: backup DVD-ROM with Ubuntu Linux and EMC2, plus a second CD with the CNC instruction manual in 3 file formats, CND machine exploded views with part numbers, quickstart instructions, CNC FAQs and description of programs included on the CD. Unlimited machine and accessory support provided at no charge by Sherline. Linux/EMC support provided on a voluntary basis by a member of Linux CNC group at www.linuxcnc.org. CNC Control Box Only, P/N 8760: Includes 4 stepper motor connection cables, parallel cable, 4 amp, 24-volt power supply, drivers for 4 axes, 2 CD set including Linux OS and EMC2 controller software. Stepper motor, P/N 67127 or, P/N 67130: Dual shaft motors include flats ground onto front and rear shafts to keep handwheel and coupling set screws from causing galling, six wire leads pre-wired to Sherline plug for direct connection to CNC driver cables. Motors are high quality name brand NEMA 23 frame size, 2 amp, 135 oz-in (8.7 kg-cm) units. P/N 67127 (flats on shafts, leads soldered to Sherline connector plug and wrapped, P/N 67130 (flats on shafts, 6 raw wire leads). Spindle nose thread 3/4-16 T.P.I. 3/4-16 T.P.I. 3/4-16 T.P.I. 3/4-16 T.P.I. **NOTE: To avoid missed steps, rapid travel speeds should be used for positioning only. Actual feed rates when cutting metal will usually be the range of 6 inches/min or slower. Spindle nose thread 3/4″-16 T.P.I. 3/4″-16 T.P.I . Taper of tailstock spindle #0 Morse #0 Morse.